Separator septic tank separate the solid and liquid waste. Separator system will decrease cost of sewage truck. Also you can use liquid waste for garden watering. Separator septic tank have 3 chamber inside of it. The first chamber is the inlet. Both of solid and liquid waste will fill in this chamber.This chamber include a horizontal plate. This plate will have some holes on it that liquid waste can flow the second chamber. 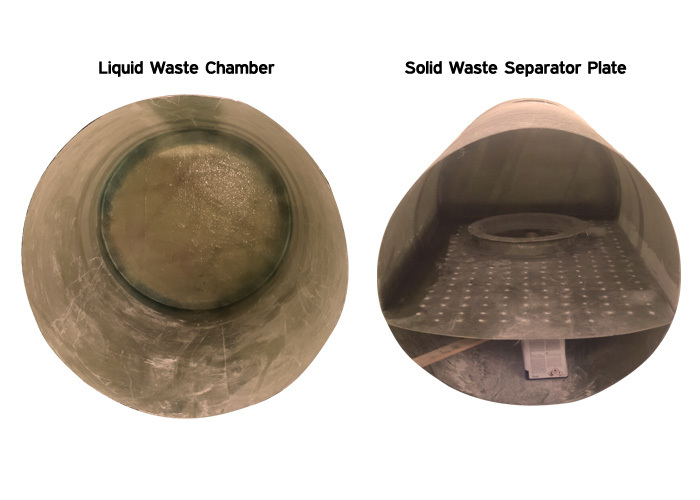 Second chamber is the first chamber of liquid waste. This chamber have 2 filters that separate the solid and liquid waste one more time.Filters are plastic. We designate its diameter according to tank’ volume. The last chamber is the outlet. Waste will fill into this chamber as separated. This chamber also has a filter top side of it. 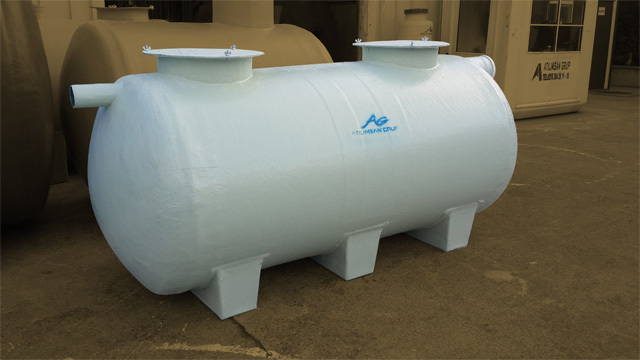 After of filling of this chamber fully, the liquid waste can be used for any watering process. Tank filling period will be longer. Sewage truck cost will be lower. You can use liquid waste for other works like garden watering. 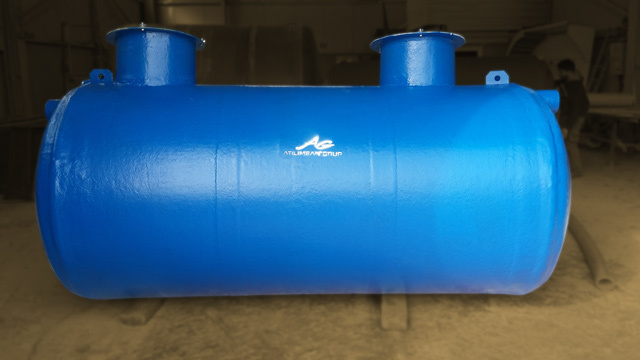 You can control all chambers of tank by the help of manholes for all chambers. Tanks are suitable for underground. Installing of tank is easy. Septic tanks have lower costs by comparison with concrete sewage. Tanks are ready to install. 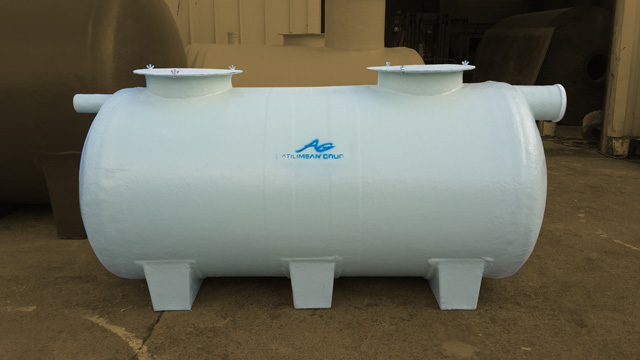 Fiberglass septic tanks have long usefull life. Have lower prices in comparison with the other production groups. Long warranty process against to production defects. Please prepare your ground according to drawing that is sent you by responsives. Please be carefull during unloading of tanks. You can use lifters on tank during unloading and put your tank to underground. Don’t interfere to tanks with any driller or cutter materials. There shouldn’t be any hard materials inside of the soil that you will pour on tank. Don’t lift your tank from its manhole and inlet pipe. 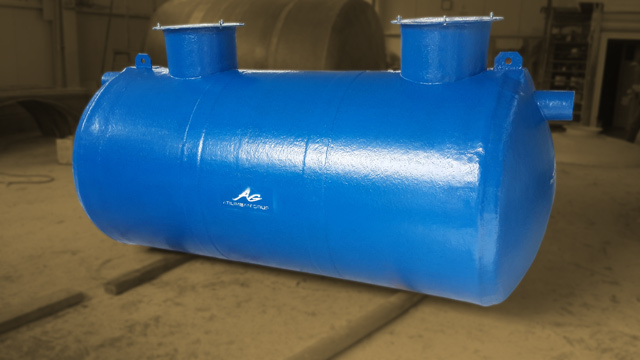 If you need any changing for tank’ dimensions or equipments, please contact with us before production.